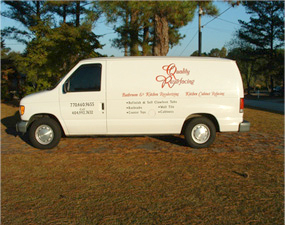 Owner operated, serving the Greater Atlanta area for more than 20 years! We provide quality and professional work to our customers. We pay attention to the small details and what the customer is looking for in a bathroom. We give a five year written warranty with instructions on taking care of the reglazed surface. We work with several types of materials ranging from Cast Iron to Fiberglass. Our quality work has brought out the beauty to our clients tubs, counter tops, bathroom sinks & tile. We have worked with some of Atlanta’s premier residential properties. From high rise apartments to commercial clientele. Contact to experience the quality of an Angie’s List highly rated service provider! Serving the Greater Atlanta area for more than 20 years!